Long time no speak! Honestly it has been a fair while since I blogged and this is mostly because life has been so busy. I have settled well into my new job and it has been a huge learning curve. Balancing one child with 3 days of work was relatively easy but with two to juggle and working a tad further away from home than I was I have struggled to get into my stride. That said I am now relatively comfortable with our routine and feel a bit less chaotic. 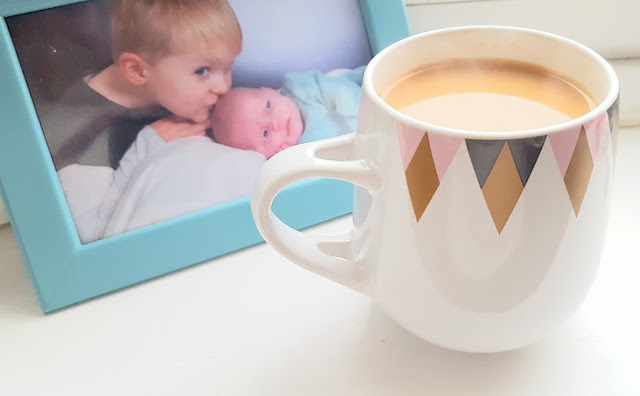 I will write up a full post soon about how I have managed with returning to work/our family routine but for now I wanted to share a review that has been long overdue. Callie has been eating solids for around 4 months and is doing really well, you can read more about why and how we weaned her early here. During her weaning journey we have discovered lots of new products but one I was sent to try out has stood out above the rest. I did a few Facebook live videos when it arrived which I have inserted below but will talk you through our first impressions. 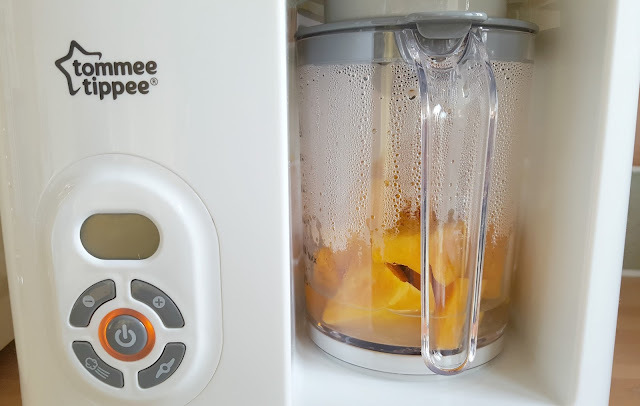 The Tommee Tippee Steamer Blender does what its name would imply, it steams and blends food making it a perfect way to cook baby food in minutes without all of the pots and pans. It is relatively small so takes up minimal room on the worktop and is surprisingly quiet to use (ideal when you don't want to wake a sleeping baby!). 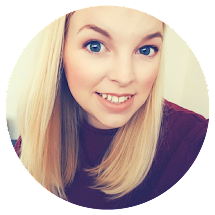 The instructions are simple to follow...when baby brain allows (as you will see from the testing video below) and it comes with a little book of recipes and a weaning guide which I found really helpful. The first recipe I tried was Sweet Potato Puree (I skipped carrots as I am a rebel) and it went in a strange direction when I chucked iron water everywhere but turned out well in the end! We have made some great recipes in the Steamer Blender since we have had it and also used it to whizz up our baby friendly meals too for Callie to enjoy lump free. I even made an instant berry frozen yogurt which I will share at the end of this post for those hotter days (we have had a fair few this week!). I love how simple this gadget is to use compared to a lot of other blenders. There aren't lots of fiddly parts to wash up and it comes with two handy pots with lids to store the food in which we use all the time. I actually use the steamer setting to cook food for both the kids dinners and even made Ted some soup in it last week which he loved. 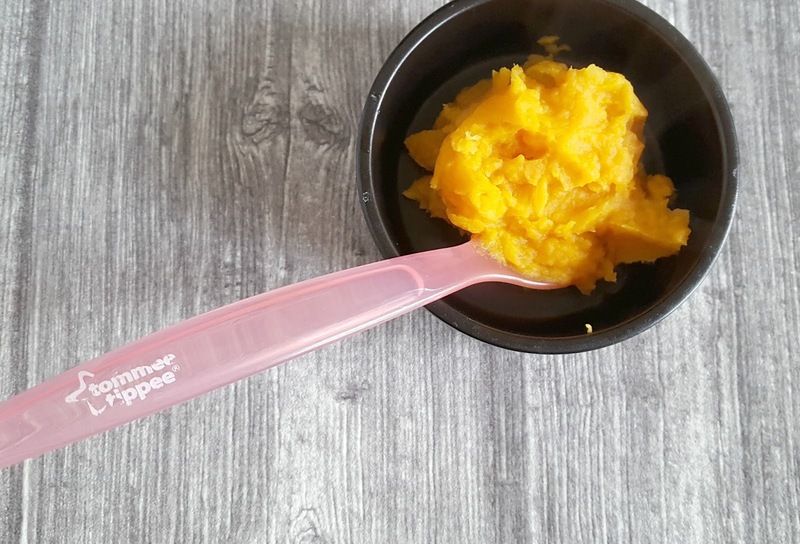 Overall very impressed and if you are looking to wean your little one in the next few months do pop over to the Tommee Tippee website as the Wean Together area has not only a huge list of simple recipes but the chance to win your very own Steamer Blender! Pop it all in the Steam Blender, programme for 30 seconds and hit the blend button. Blend in 10 second intervals until you get the texture you need. Pop into a bowl and serve! *This can be stored in the freezer but remember to take it out 10 minutes before you need it so it is spoon-able. 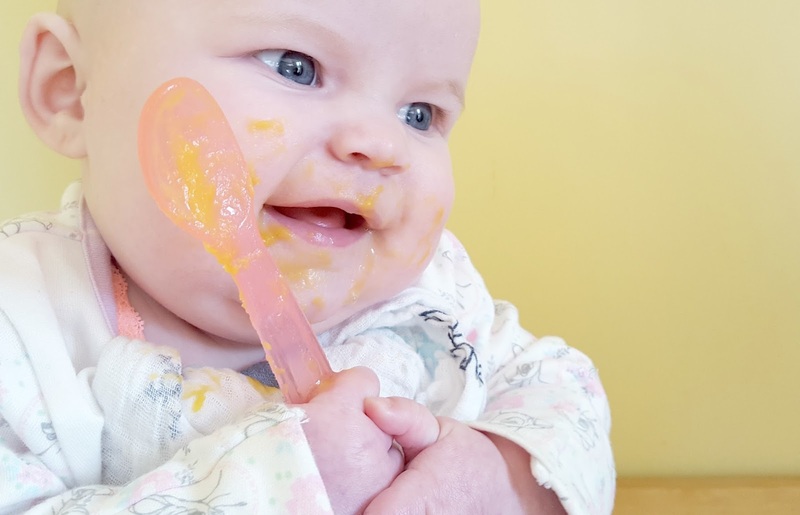 I would love to see some pictures of your little ones weaning journeys so please do tag me @lateforrealityblog on Instagram and click that follow button to see more of the foods we are loving for our tiny troublemakers! P.s here are the Facebook live videos of me taking the steam blender for a test drive.